Medical expenses are the leading cause of bankruptcy in the United States. I had to read that twice on the website of The Mayday Foundation. Like many people, I assumed job loss would be the main cause of a family becoming destitute but in reality, it is due to no fault of their own, a surprising medical diagnosis. 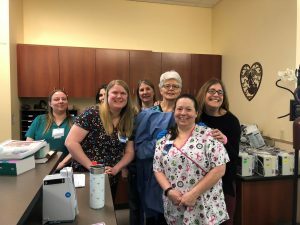 When Amy Rowley was diagnosed with breast cancer at the age of 42, she was fortunate to have health insurance, a flexible job, and family support. She quickly learned that even with adequate health insurance, deductibles alone are a significant financial burden. 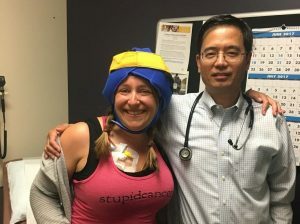 Her cancer treatment extended into a second calendar year, requiring the payment of a second deductible, a typical scenario for cancer patients. Those conversations in the oncology clinic, along with Amy’s desire to provide a helping hand, resulted in the creation of The Mayday Foundation in January 2018. 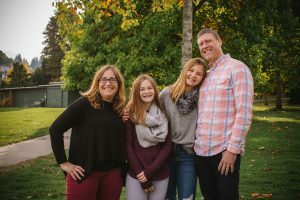 The mission of The Mayday Foundation is to provide immediate, practical support to Thurston County parents coping with cancer and raising kids at home. This non-profit organization provides a safety net so that families can avoid bankruptcy, maintain stable housing and reduce some of the stress imposed by cancer. 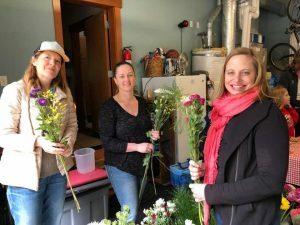 The Mayday Foundation simply requires that recipients live or are actively receiving cancer treatment in Thurston County while raising children at home. “Undergoing cancer treatment is like having a full-time job and providing some financial help can really ease the burden of parents,” says Amy. In the first year of operations, The Mayday Foundation raised over $100,000 and helped 14 families. “I’m most proud of the fact that no families had to move out of their home or file for bankruptcy due to medical bills,” said Rowley. In addition, 85 percent of families assisted had never asked for help before. “Parents remain very cautious about asking for help,” she added. The average assistance given was approximately $2,600 per family over the course of three months. “Giving 32 local kids the gift of simply staying in their homes and remaining in their same school makes me so happy,” shares Amy. The Mayday Foundation has a dedicated board of directors and advisory committee and applauds more than 150 donors for helping their neighbors. Keeping the focus on local families as the foundation grows is one of Rowley’s goals for the future. Local partners like Acme Fuel have helped the foundation as well. “We asked Acme Fuel to partner with us to refill a family’s propane tank. Not only did they fill the tank for free, Acme Fuel went back and filled it again without anyone asking them to,” says Amy. The Mayday Foundation will continue with their second annual May Day fundraiser this spring. Donors can purchase May Day baskets to be delivered to the recipient of their choice. I sent several baskets last year and they were such a huge hit. 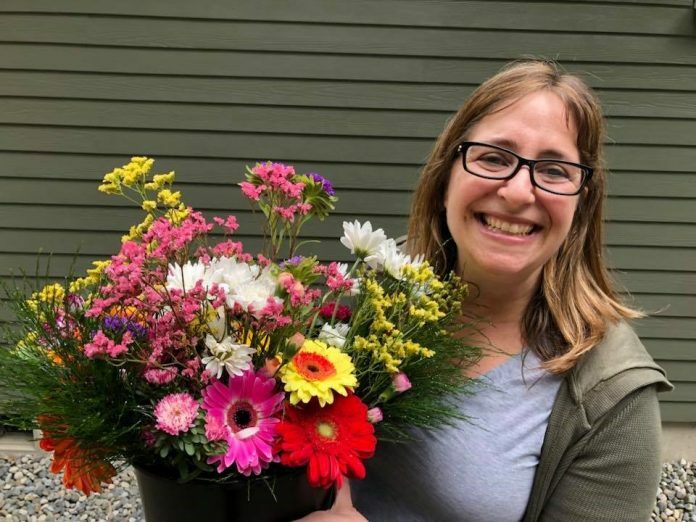 People were so touched to find a sweet bouquet of flowers on their doorstep with the added benefit of helping their community. I cannot wait to participate again this year. If you would like to support local Thurston County families coping with cancer or want to learn more about how you can get involved or get help, visit The Mayday Foundation website.